If you are an Original Equipment Manufacturer (OEM) looking for in-line filters for your industry needs,Tisch Scientific Inc is the right place to end your search venture for microfiltration requirements. Harnessed with microfiltration connoisseurs with in-depth and deep knowledge about the industry, we can help you with suggestions on the kind of products that would be best suitable to you. 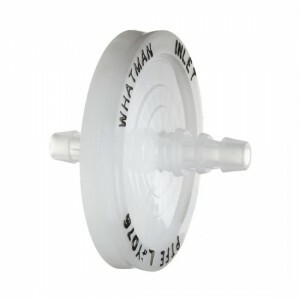 Our array of Whatman in-line filters come in a number of types and are of top-notch quality. Here are some facts that you need to know about in-line filters. In-line filters refer to tiny oil, fuel or air filters replacing a part of a hose or pipe line and used for the purpose of microfiltration. They come as disposable filters which are used to save on space as well as to augment the filtration system by replacing carbon air filters. In-Line filters from Whatman have always been considered to be of exceptional quality while being affordable. They comprise polypropylene housing of impeccable purity and can be used for aqueous as well as organic filtration systems by virtue of the myriad filtration media. The Polydisc line of filters that the brand designs is meant to serve manufacturing, laboratory or huge pilot plant filtration requirements. The versatility of the filters is witnessed in the design as well. This makes them suitable to be used in combination with syringes or placing and attached in-line through stepped-hose barbs. A single Polydisc 50mm in-line filter can filter up to 1 liter of sample volume. You can choose between sterile and auto-cleavable in-line filter types to suit your needs. The Whatman in-line filters that Tisch Scientific deal with come in myriad shapes and sizes. They are Polydisc AS, Polydisc HD, Polydisc SPF, Polydisc GW, Polydisc TF and ReZist and Aqueous ID and Solvent IFD. Here is a brief discussion on each one of them. Polydisc AS: This Aqueous Solution in-filter from the Polydisc 50 mm group comprises an immaculately pure throughput polyethersulfone membrane. The membrane is free of any surfactants and possesses low protein binding that is designed mainly for use in pharmaceutical laboratories and factories. The membrane features augmented life span due to the presence of the glass microfiber filter which also filters extremely contaminated particles efficaciously. Polydisc TF and ReZist: These in-line filters with hydrophobic PTFE membranes are ideal for use in protective ventilation systems as well as isolation applications. The PTFE membrane effectively filters and purifies chemically aggressive reagents, organic solvents and solutions. Polydisc SPF: Polydisc SPF are perfect for use in microbiology, virology and tissue culture labs and have capacities for pre-filtration of aggressive solutions like serum. The effective filtration process is done because of the presence of unique polyethersulfone stack of filter membrane and glass fiber. Aqueous IFD and Solvent IFD: The Aqueous IFD in-line filters from Whatman are built in a way as to directly get connected to HPLC line mobile phase and degas and filter the same simultaneously as required. The Solvent IFD counterpart, on the other hand is mainly used for organically based mobile phases. Both of these come with polypropylene housing along with air vent with luer lock cap that enable priming. Polydisc GW and Polydisc HD: Whatman’s Polydisc GW is designed to serve the purpose of sampling of ground water to analyze the heavy materials dissolved in the same. It contains quartz fiber pre-filter and membrane filter both of which are arranged atop each other and has attenuated levels background values and high dirt loading potential. The Polydisc HD variety with its impeccable flow rate is apt for filtering large volumes of both solvent and aqueous samples. Why Buy from Tisch Scientific? All the in-line filters available at Tisch Scientific adhere to ISO standards while being individually sterilized before being shipped. Purchasing in-line filters in accordance with your needs from our website will guarantee you competitive prices, while ensuring timely delivery and high quality.